Something everyone should know about #COP21 climate deal: the words "fossil fuels" do not appear. Neither do the words "oil" or "coal." Listening to the BBC news, the jubilation of delegates to COP21 in Paris, one could be forgiven for being fooled into believing some historical agreement had been signed to reduce greenhouse gas emissions. The agreement excluded both aviation and shipping, without which, we cannot keep global warming below 2C. Thee is nothing to protect indigenous rights. These are the guardians of the forests. Unbelievable no mention of oil, coal or gas. Nor any mention of livestock, palm oil and other industries driving deforestation. One could also be forgiven for believing 1.5C limit to global temperature rise was something new. It is not. It always was 1.5C seen as the safe upper limit. It was political fudge that set it to 2C. 2C rise would see many Pacific islands wiped off the face of the map. We are already seeing severe storms and more of them. In Cumbria last weekend, we saw floods, we saw floods across southern England two winters ago. And yet, we have business wanting to build a third runway and massively expand Heathrow Airport. Third World countries will be the worst affected by rising temperatures, rising sea levels, and yet they are still on a programme of building more coal-fired power station. There has to be a ban on building any new coal-fired power stations, the existing coal-fired powers stations have to be phased out. 2,440 coal-fired power plants are planned globally, both in emerging economies as a suggested means of meeting rapidly increasing electricity demand and also in many states across the EU to replace existing capacity. Even with no new construction, emissions from coal-fired power generation in 2030 would still be 150% higher than what is consistent with scenarios limiting warming to below 2°C. In the Cape in South Africa, wind turbines deliver electricity at half the price of coal-fired power stations, are cheaper to build, and yet South Africa plans building more coal-fired power stations. When was the last time you saw solar panels on a house in Cyprus? Had the world cut carbon emission by 2% a year since the Rio Earth Summit in early 1990s we would not be where we are today. The cuts pledged at COP21 do not add up. They would lead to a 3C rise in global temperature. And these are only pledges, not guarantees they will be met, they are not legally binding by International Treaty. The cuts required are what the science dictates, not what Big Business, Dirty Coal, dictates. The Paris deal requires no emissions reductions from countries before 2020. We have to leave 80% of known carbon reserves in the ground. But, even with what has been pledged, it means fossil fuels, coal, oil, gas, have no future. Stranded, worthless assets. It is time for massive divestment from fossil fuels. Man is his folly and greed seems determined to destroy the planet. Proposed expansion of Gatwick or Heathrow or maybe both in the south of England. Burning of rain forests in Indonesia to clear the way for palm oil plantations. Bangladesh, the world’s most ‘climate vulnerable’ large country, has plans for a 1.3GW coal power plant on the fringes of its World Heritage coastal wetlands. Mangrove swamps protect coastlines, but Bagladesh will destroy a mangrove swamp for a massive coal-fired power station. Low lying islands, where they are destroying forests, excavating the beach, polluting the sea, mining the coral reefs. But we ourselves, seeing the failure of politicians, can take action. In the UK we have corporations sitting on a £700 billion cash pile. Idle money doing nothing. We know investment in green infrastructure could lead to the creation of a million jobs. What we are seeing is a re-run of Neville Chamberlain returning from Berlin with a signed paper by Adolf Hitler, Peace in Our Time. What we are witnessing is Appeasement of Big Business. TTIP, if forced through, will render any agreement reached at Paris worthless. A blitzkrieg by the EU and Big Business. Future generations will look back and see this moment for what it was. Today thousands of people took to the streets of Paris to protest, and in doing so defied the State of Emergency. In a tolerant society how do we deal with intolerance? 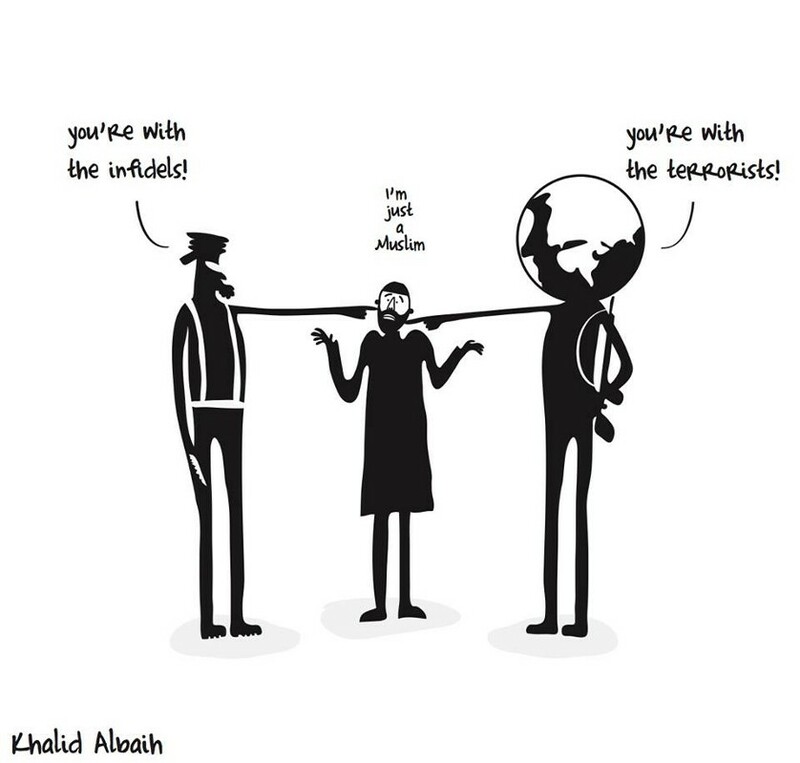 In a tolerant society how do we deal with intolerance, how should we deal with intolerance? Moral Maze on Islamic terrorism last night. Where are the Muslims on the street demonstrating against ISIS, demonstrating against the atrocities in Paris last Friday night? When Muslims come to the West they should discard their cultural baggage. There is no support in the Koran for their Medieval ways. This from a Muslim academic. Very valid point made at Europe is Kaput (discussion between Yanis Varoufakis and Slavoj Zizek, later joined by Julian Assange), in the West we must underscore our liberal values, we cannot allow ourselves to be cowed by the knee-jerk cry of Islamaphobia. We must oppose bastardisation of women, forced marriage, hate crimes, honour killings. Talking to an Iranian friend today, a Muslim. A man and a woman in his shop. He politely asked why was the woman dressed the way she was, full burka, tiny slit for her eyes, please show me, here is a copy of The Koran? The man became abusive. My friend pointed out the man was in his shop, and he had asked a polite question. Man became more abusive. My friend told them they were a disgrace to all Muslims. He had an imam from a mosque, an ignorant, uneducated fellow. 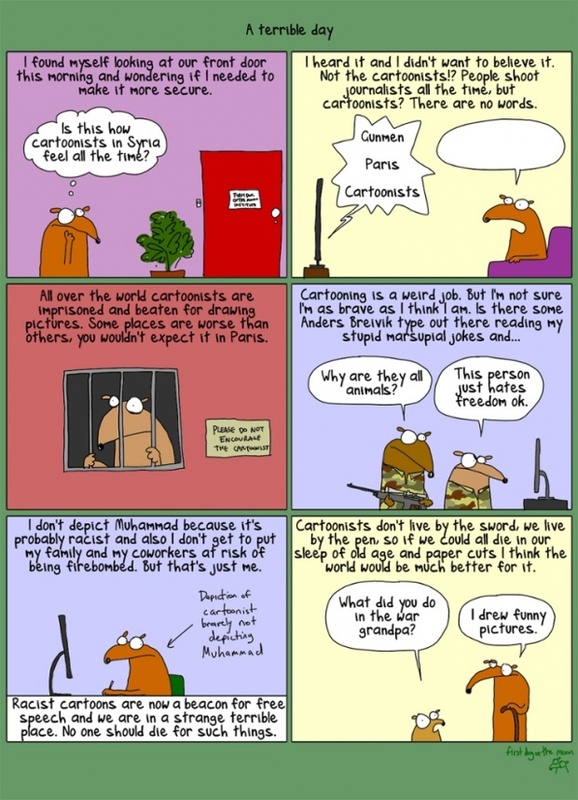 Why do you not hang a sign outside your mosque condemning ISIS? Cannot, the man replied, the mosque would be bombed. In Iran, in Turkey, there are academic centres of learning for The Koran. The clerics practising in UK, are illiterate, backward peasants from backward village cultures, who bring their ignorance with them. On Radio 4 this evening a discussion, Paris: Could it happen here? Muslim extremists are not the fringe of Islamic culture in England. Saudi Arabia is a main funder of terrorism, an exporter of a perversion of Islam. We can stand by and do nothing about Isis. If we do, Isis will expand. We need as Jeremy Corbyn has said, to cut off the funding. That means Saudi Arabia and the Gulf States. We also have to deal with the oil from Isis finding its way onto the black market. These are necessary, but not sufficient conditions to defeat Isis. Isis is a de facto country. We will not defeat Isis as David Cameron in his simplistic thinking seems to believe by bombing them, bombing is making the situation worse and bringing in more recruits. We will only defeat Isis, by US, France, Germany and Russia, working together to defeat Isis on the ground, then occupation for many years until the democratic structures of the country are rebuilt, as we did with Nazi Germany. We must remove Assad. Assad has killed more Syrians than Isis. It was repression by Assad that led to Isis. We must not make the mistake of Iraq, where US contractors were brought in to rebuild the country, leaving Iraqis unemployed and penniless. Syrians must rebuild Syria. The vote in the House of Commons on Syria, must be a free vote, with each MP free to make his or her own mind up, not told how to vote by Party Leaders. France could invoke Article 5 of Nato Treaty, an attack on one is an attack on all. If Isis thought they could intimidate France they have made one big mistake. Tonight France has launched a massive attack on ISIS. 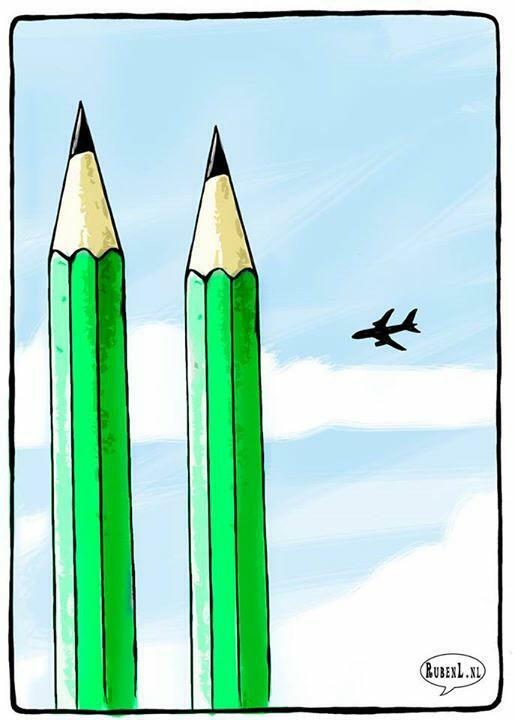 Many look too shocked to be angry and can't believe same area as Charlie Hebdo attacked again – but with murder so indiscriminate. NY Times: "American security official said there was no immediate indication that there had been suspicious chatter.. before the attack." Listening to the radio last night, appalling news coming out of France. Coordinated terrorist attacks across Paris, many killed, ten o’clock 26 reported dead, midnight 36, early hours of the morning over one hundred, lunchtime today 126. From eyewitness accounts, all the hallmarks of a commando style raid, only not against a military target but aimed at slaughtering ordinary innocent civilians. Bravo, no pushing back RT"@firstpost: France to go ahead with climate change summit – source | Reuters https://t.co/OOnbI5UgLI"
France was already on heightened alert, due to host climate talks in a couple of weeks, and yet no warning, not even a whisper. Not only well organised to carry out the attacks, well organised to have caches of weapons in place. Where did they receive their training, where were they from? We have had bombings in Turkey, in Lebanon, a Russian plane blasted out of the sky. 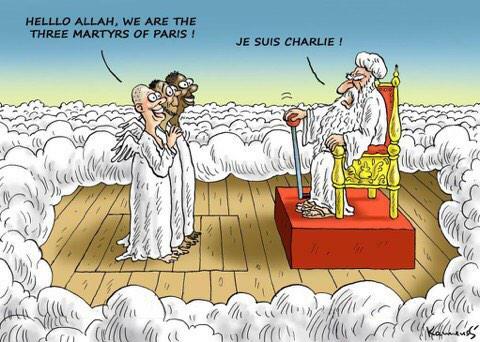 Now coordinated attacks on Paris, and that follows on from the Charlie Hebdo massacre in January. Last last night, France declared a State of Emergency, its borders were closed, roads in Paris were closed, people were advised to stay indoors. The attack is seen as a declaration of war by ISIS. An attack on one Nato member is an attack on all. France could invoke Article 5. The Schengen Agreement has to be suspended indefinitely, We cannot have the free flow of people, unchecked, across national borders. We have to halt the flow of migrants into Europe, when we have not a clue who we are letting in. One of the Paris attackers is believed to be a Syrian who passed through Greece as a migrant. Isis in the past has said it will use migrants as a route into Europe. The illegal migrant camps in France have to be broken up, breeding grounds for crime and terrorism. For far too long we have been tolerant of Islamic extremists. We cannot allow women to wear the burka, with only their eyes visible through a narrow slit. We do not allow people to parade around wearing a Balaclava, so why a burka? If they do not like it they know what they can do they can head for Saudi Arabia. There has to be military action against ISIS. Bombing is making the situation worse. We have to cooperate with Russia. We have to recognise we are in for the long haul. It could take ten years, it could take a generation. Iraq, Libya, Syria, are failed states. We are dealing with the consequences of the break up of the Ottoman Empire, illegal wars by war criminals George W Bush and Tony Blair and climate change. Post-WWII, we ran Germany, we had a programme of de-Nazification. This we will have to do in the Middle East. We have to give all a part in society, Kurds, Arabs, Muslims, Christians, Shia, Sunni. This was the mistake we made in Iraq, and as a consequence the country fell apart. We have Syrians, or at least they claim to be Syrian, literally fighting their way into and across Europe, fighting with border police, fighting with each other. Why are they not in their own country, fighting to recover it? Contrast with the Free French, Free Poles, who fought with the Allies to recover their countries. Wealthy Arab countries should pay for the cost of recovering the Middle East, if they refuse, seize their assets in the West. We have to move to renewables (we need to anyway to deal with climate change), to end the flow of money into the Middle East. ISIS will not talk. Canon Andrew White invited ISIS to dinner. They offered to chop his head off. Prior to Peal Harbour, Americans were opposed to entering WWII. After Pearl Harbour, they were queueing to enlist. 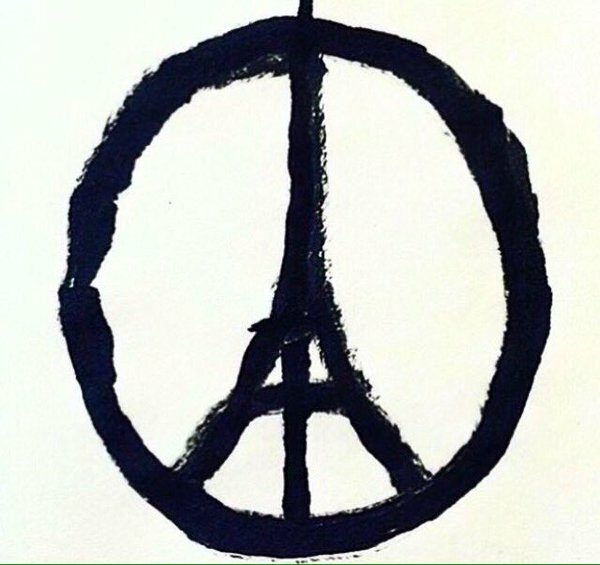 The attacks on Paris last night is a wake up call. We cannot let ISIS expand. On facebook last night, a page to let people know you are safe. And yet no mention in the media. This evening the London Eye and London Bridge are lit in the French colours to show we stand with the people of France. As are many other buildings around the world. They brought the centre of Paris to a standstill, those who came to show they will not be intimidated by Muslim terrorists, by religious fanatics. No one knows how many, they lost count after a million, the largest peacetime demonstration seen in Paris. It was not just Paris, it was not just France, it was not just Europe, people all over the world showed their desire for freedom. Jews, Christians, Muslims, people of no faith, men, women and children, all with one voice, we will not be intimidated. The Guardian should have published a cartoon by one of their cartoonists, depicting the Prophet wearing a t-shirt with the words Not In My Name, but cowardice prevailed. 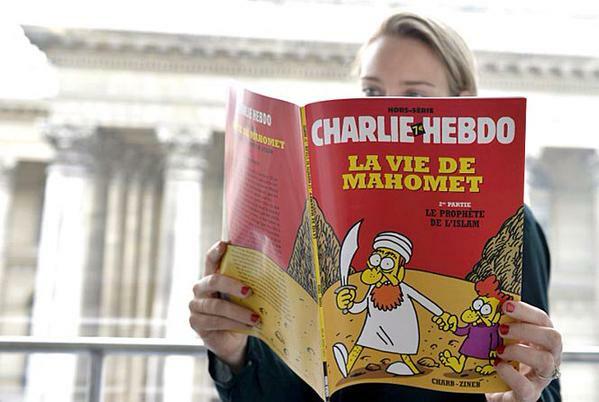 The French luckily, do not display the cowardice of The Guardian. The man standing atop of a bus stop, I’m a Muslim not a terrorist. 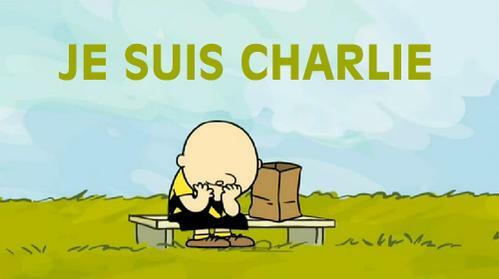 The world has to stand in solidarity against Muslim extremism. We must draw a line between Islam the religion and Islam as a Fascist ideology. Islam as a Fascist ideology is as much a threat to the world today as the Nazis were in the 1930s. 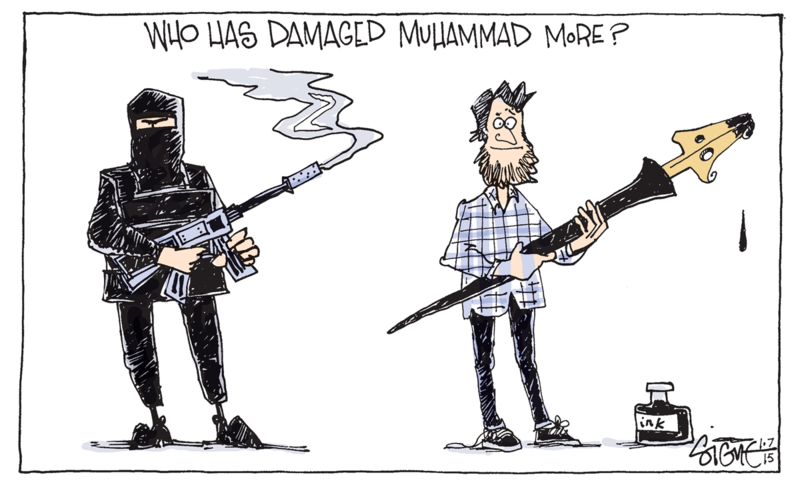 Who has damaged Muhammad more? 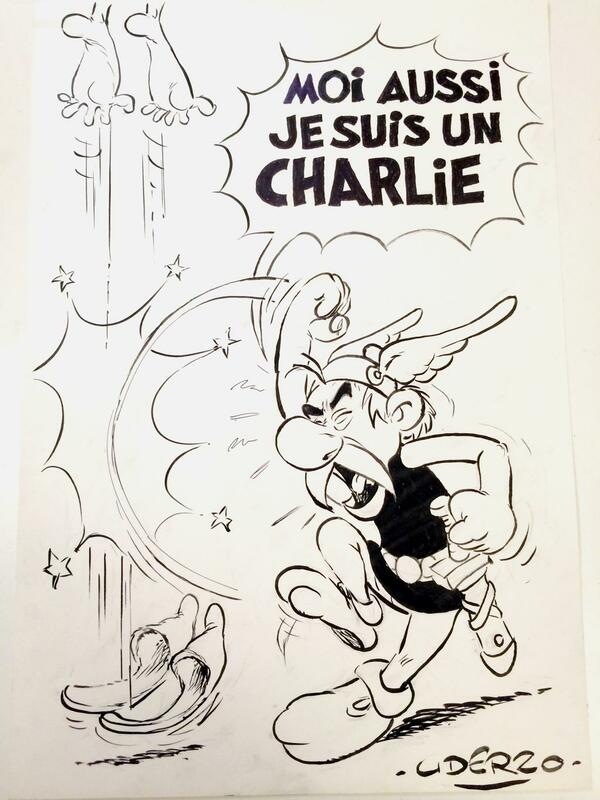 Two possibly three gunmen walked into the offices of French magazine Charlie Hebdo and carried out a massacre. Twelve killed, many injured. ISIS has called upon its followers in the West to carry out revenge killings. This though does not appear to be carried out by amateurs, too professional, more likely battle-hardened ISIS fighters returning to France. The rounds fired into a police car, were closely spaced, the work of a professional. They also seemed to be well informed, or lucky. They got into a secure building, at a time an editorial conference was taking place. Sick trolls are having a field day, tweeting racist and inflammatory tweets, which only serve to worsen the situation. The one thing we do not wish to see, is Muslims being targeted, but that is not to say, a clampdown on religious fanatics who are stirring up hatred (and that includes vile trolls). We are seeing a failure of immigration policy, or the lack thereof. Both France and England, have large numbers of disaffected young Muslims, ideal recruiting grounds for ISIS. Muslim schools should not be permitted. This is the West, tolerant yes, but Islam is not a religion of the West. If they wish to go to Muslim schools, then live in a Muslim country. Cannot have it both ways. Freedom to practise a religion, provided it does not impinge on the freedoms of others, is not the right to impose your religion on the rest of society. Islamists have scored a massive own goal. But to be honest I do not think they will care as they do not care what we in the West think of them. All they wish to do is bastardise women and see the Black flag of Islam flying across Europe. 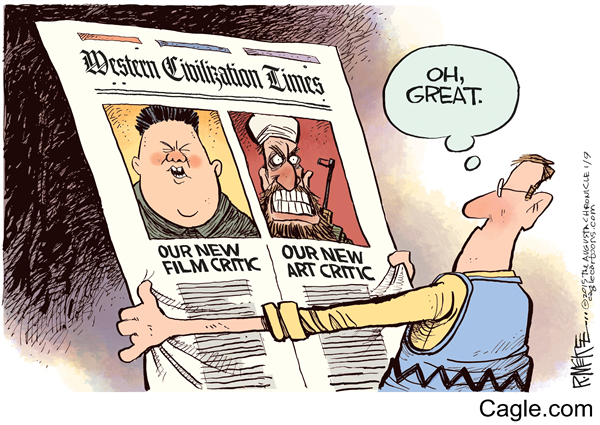 Sony showed cowardice when they were hacked, pulled a rubbish film. The French have taken to the streets to show solidarity that they will not be intimidated by Jihadists (assuming that is who it was). Absolutely amazing! A Warrior of Light in Action! Artist Nobuyuki Hanabusa and dancer Katsumi Sakakura, together known as Kagemu, have since been widely imitated by others ….